07817 245 879 for a free estimate. Simply contact us today to discuss your needs. Based in Nottingham, we're able to reach you wherever you are in the city or surrounding areas such as Ilkeston, Wollaton, Stapleford and Beeston. I had a new boiler fitted and re-sited, from A&B Plumbing & Heating, the man arrived promptly and carried out the job quickly and efficiently. He was friendly and helpful and worked very hard to ensure the job was done quickly. He went the extra mile and borrowed a heater for me to use. Extremely pleased with the job done and tidied and cleaned up afterwards. They are great! Had them around the first time to deal with our toilet, and the second time to add plumbing for a new dishwasher. What we wanted done was hard to explain, so they came around beforehand to see what was possible and in the end made it work. They also installed the electrical infrastructure for our freezer to be placed in a cabinet. All and all, they made it possible for our tiny kitchen to house a washing machine, a dishwasher, and separate fridge and freezer. Excellent communication with the company; Alex was a wonderful person to have in the house for a few hours. Highly recommended. Great team, great work, and fantastic with the kids. Work on my property has lead to further work with my builder for Alex and the team. Will have him back for future work. Our 33 year old bathroom was well over due for a make over. 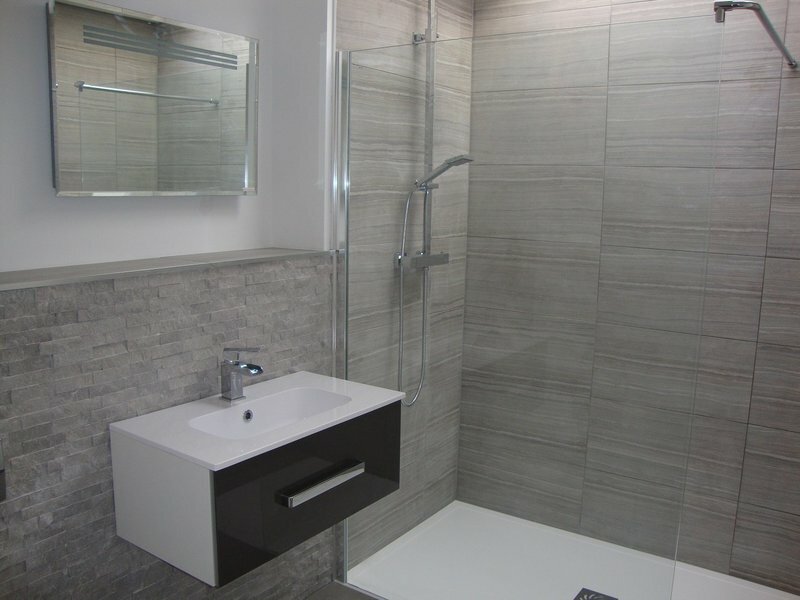 Alex and his team of Mr T, Rick and Courtney transformed our tired and dated bathroom into a stylish modern shower room. 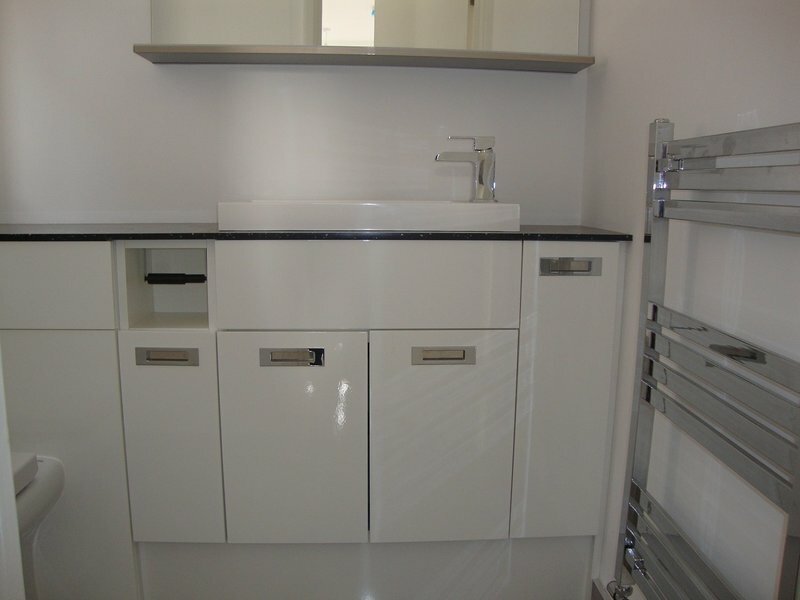 The work was carried out professionally and with as little disruption and mess as possible. 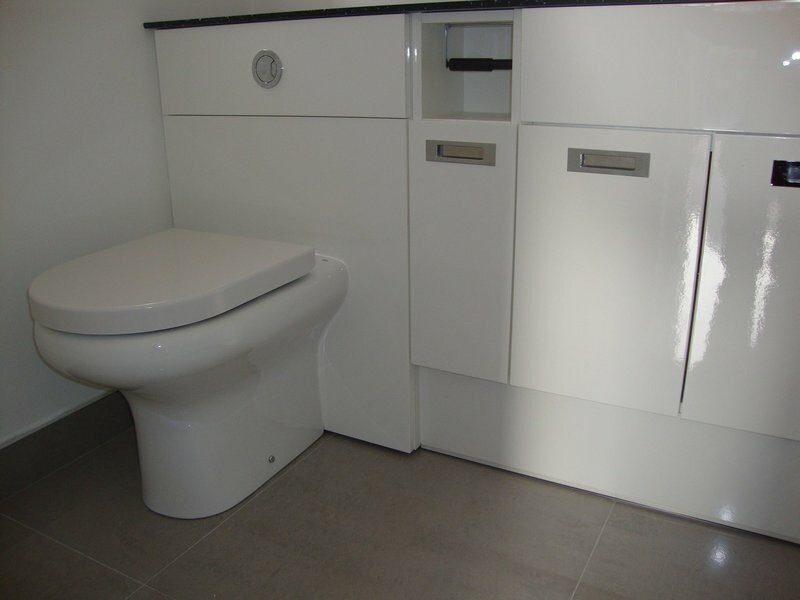 We were kept informed as to what would be happening each day and care was taken to ensure that the work was progressing to our specification. All the team were very approachable and friendly. We got to know Rick well as he was here most days doing the tiling, plastering, ceiling and floor work, trimming doors. We came to the conclusion that he could do almost anything! 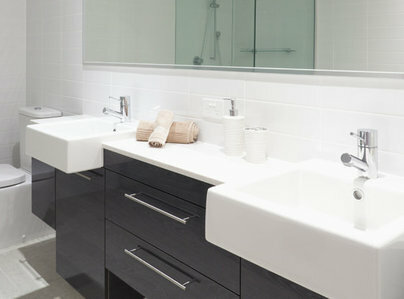 If you are thinking of having a bathroom refit get in touch with Alex and his team. We are glad that we did. They were extremely good in coming to estimate what we required to put in the new Worcester Bosch Boiler and were very prompt at installing it. Alex and his team worked extremely hard to get the boiler in and we were delighted , satisfied and really appreciative of how they installed it. They cleared up after themselves and left no mess at all. We cannot praise them enough for their work and we are highly satisfied with all they have done. We would not hesitate to have them again for anything else that we need doing. Quality, first class work for a great price. Highly recommend. Alex was very helpful in recommending and quoting for a new Worcester Bosch boiler. I was worried about possible mess involved as I had just had my home redecorated and carpeted. I was amazed at how efficiently and competently my new boiler was installed with absolutely no mess and no sign that an old boiler had been removed and replaced with a new one. Alex’s colleague brought his own drinks and got on with the job without a break. It was only a short time between the quote and installation and Heather in the office was very helpful at all times. I am thrilled with the whole process from start to finish, as well as the cost, and would recommend Alex and his team without hesitation. Torrian the happy plumber switched my combi boiler today. His enthusiasm and obvious joy in his work warmed me on a day I needed warming. Now the boiler is warming my house. I'm told by the landlord it's a fair price. 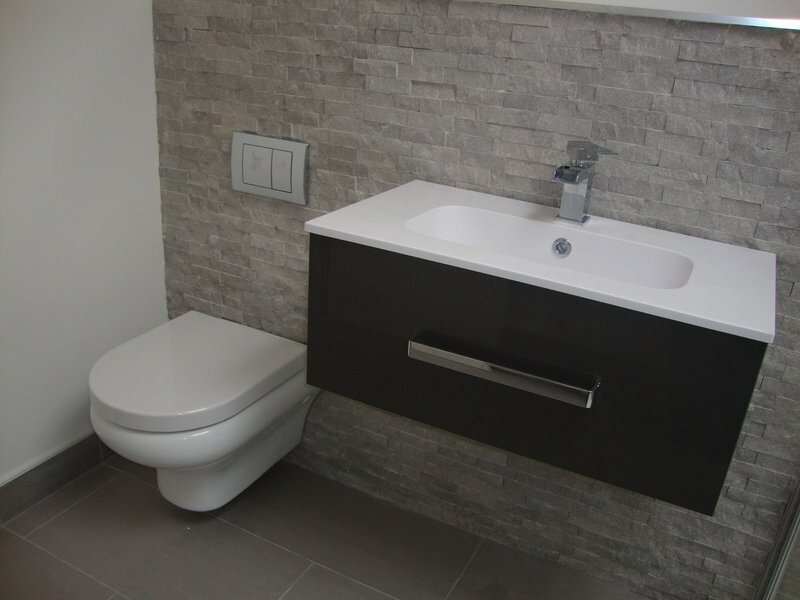 As for the quality of the work, I have no idea about plumbing - it looks neat. He seems like someone you can trust and I will use them again. I contacted Alex after reading the reviews and he was able to come and inspect the same day. His colleague Taurean was then able to fit a boiler for me just over a week after, a relief considering the existing boiler could not be used and had multiple leaks. They left the place spotless, listened to what needed doing (valves seized up etc) their quote was incredibly competitive compared to the cowboys I had fit my combi 5 years ago and I would highly recommend using them and I will probably get them back for fires/cookers etc and recommend to family and friends.